We are supposed to spend one third of our lives sleeping. But for many people that’s a lot easier said than done. In fact, up to 58% of adults in America complain of having trouble sleeping. Insomnia is an issue that many of my patients experience. This is not so surprising because many chronic illnesses and pain are also associated with insomnia. Acupuncture is helpful to reduce those sleepless nights. Acupuncture often people sleep better even if you are not coming in for that insomnia specifically. So even if your coming in for your back pain, headaches, or digestive issues, acupuncture helps you sleep better. 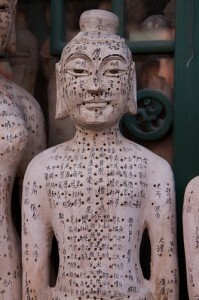 Acupuncture is based on the idea that illness is caused by imbalances. By correcting the imbalances the body works to heal itself. Acupuncture corrects imbalances by stimulating specific points on specific channels. When stimulated, these points help the qi to flow smoothly. Acupuncture points are located on the channels, each having a precise healing action. Imbalances are related to the body’s energy, called qi (pronounced chee). Qi travels though channels in the body like water flowing through a winding river. These channels connect the body’s surface to the internal organs and muscles, this is why acupuncture can treat internal diseases as well as physical ones. 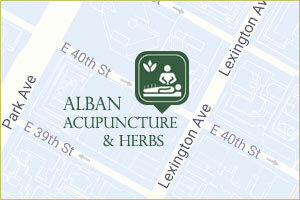 Acupuncture corrects imbalances by stimulating specific points on the acupuncture channels. Each acupuncture point has a precise healing action. The underlying imbalances for insomnia lies in the heart qi. In Chinese medicine, the energy of the heart guides the emotional calmness. Imbalances in the heart qi will disrupt our ability to sleep and may cause insomnia characterized by restlessness, anxiety, and palpitations. “Heat” is also an issues with the heart qi. Sweating hands, a red complexion and tongue signals heat in the heart. While pale white complexion with a pale tongue reveals blood and qi deficiency. 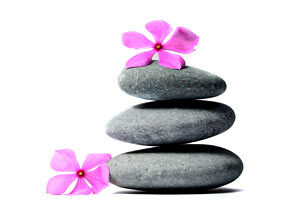 Each acupuncture treatment is tailored to focus on the imbalance causing in that person. For heart qi and blood deficiency the acupuncture point prescription will focus on calming the spirit and increasing heart qi and blood, such as HT 7, Lu 9, and PC 6. If heat is include, acupuncture points such as LI 11 or St 44 may be added to remove the heat. Another issue with insomnia may be from qi stagnation. This means that the energy is not circulating in the meridians. Stress and frustration can cause insomnia from qi stagnation. This pattern is associated with irritability, tightness in the chest and rib-sides, and neck pain. For this pattern acupuncture points such as Liv 14 and Liv 3 may be used. Acupuncture research is beginning to show how the treatment works with the body’s own healing mechanisms. Using a type of brain scanner called an fMRI, scientists have shown that acupuncture works with the nervous system to reset the brain when it is stuck in an unhealthy pattern of pain and illness (1). This is a way of reteaching the body to be healthy. Healing also occurs at the place where the needle is inserted. The surrounding tissue actually grabs hold of the needle and expands (2). Some scientists believe this begins the replication and repair of the cells around the needle. Napadow, V. Kettner N., Liu J. Et. al. Hypothalamus and Amygdala Response to Acupuncture Stimuli in Carpel Tunnel Syndrome. Pain. 2007; (130): 254-266. Langevin HM, Churchill DL, Wu J. Et. al. Evidence of Connective Tissue Involvement in Acupuncture. FASEB Journal. April 10, 2002. Published Online.